THE longest running and only regional motorsport series, with races in more than one country, is back for a milestone season. 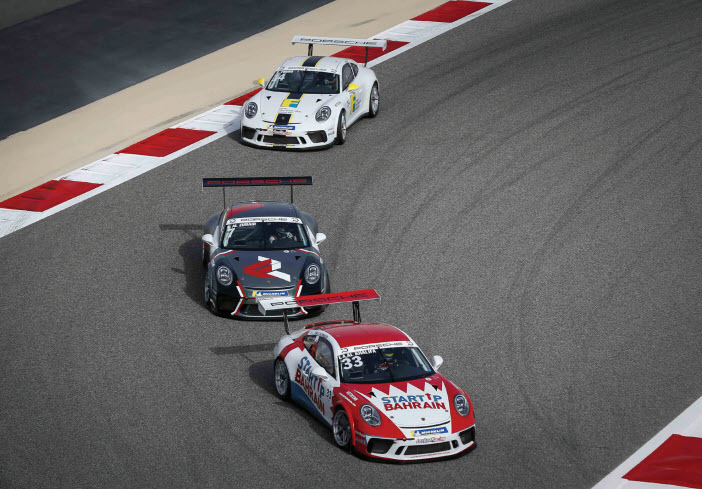 The Porsche GT3 Cup Challenge Middle East (GT3CCME), managed by Lechner Racing on behalf of Porsche Middle East and Africa since its inception in December 2009, has unveiled an action-packed 2018/19 calendar. The anniversary season sees several changes to its format, while continuing to hold its exhilarating championship finale as the official support race of the 2019 Formula 1 Gulf Air Bahrain Grand Prix. Such is the global reputation and growing appeal of the highly-successful one-make series, the landmark 10th anniversary highlights its accomplishment of developing emerging, regional talent. Continuing this legacy, organisers Lechner Racing have reformatted the championship to add more action-packed racing into the rounds than ever before. The new season consists of 15 races over six weekends. Instead of just two, Rounds 1, 3 and 5 will now feature three races. The additions aim to test driver focus and endurance, while also making the fight for the title more difficult, with added points on offer to disrupt the championship table significantly. Walter Lechner Snr, manager of the Porsche GT3CCME and Lechner Racing, a veteran racing driver who started his own motorsport career more than four decades ago, said: “Looking back over a decade at more than 100 races and 120 drivers, I’m both proud and excited about what we’ve achieved and the opportunities ahead of us. “The set-up of the series allows young, local talent to learn from and compete against international and veteran racers. This formula has helped us grow into one of the best motorsport series offered in the region and the only one racing in more than one country. “I’m very proud of the success the team and the drivers have seen here in the Middle East and on European tarmac. Last year’s champion, Al Faisal Al Zubair of Oman, is a fine example of the results this championship has achieved. Season 10 will open at Dubai Autodrome on November 16, before moving to Bahrain International Circuit the following weekend. The championship will then head back to the UAE to test drivers at Yas Marina Circuit and again in Dubai, with the final decisive rounds in Bahrain. The season will conclude with an official support race to the 2019 Formula 1 Gulf Air Bahrain Grand Prix at the end of March, the only regional racing series to do so. Markus Peter, MD of Porsche Middle East and Africa FZE, added: “The 10th anniversary of the Porsche GT3CCME is a fantastic achievement and a testament to Walter’s passion for the sport and this region. He and his team have provided an authentic motorsport platform in the Middle East, significantly enriching the region’s sports culture for the past decade. “Through the GT3CCME many local racing talents have been and will continue to be prepared for international competition, whilst other contestants are able to enjoy the sport in a very competitive series under professional management. The series gives official drivers access to the latest Porsche 911 GT3 Cup race car, the same model used for international motorsport editions, such as the Porsche Carrera Cup and the Porsche Mobil 1 Supercup, the official F1 support race.